Northwestern South Carolina, also known as Upcountry, is a great location for age-restricted communities as well as active adults and retirees because of its calm lifestyle and great climate. Northwestern South Carolina is full of history, art and culture, and scenic outdoor attractions that are sure to attract 55+ homebuyers. Active adult communities in Northwestern South Carolina experience pleasant and moderate climate conditions with four seasons. Summers are usually hot and humid and winters are generally mild with rare snowfall. The average temperature during the summer season is in the high 80s and in the winter season is in the low 50s. Northwestern South Carolina is made up of ten counties such as Greenville, Spartanburg, Anderson, Pickens, Cherokee, Oconee, Union, Laurens, Greenwood, and Abbeville. The largest city in the Northwestern South Carolina region is Greenville with the greatest urban population and commercial activity, followed by Spartanburg and then Anderson. 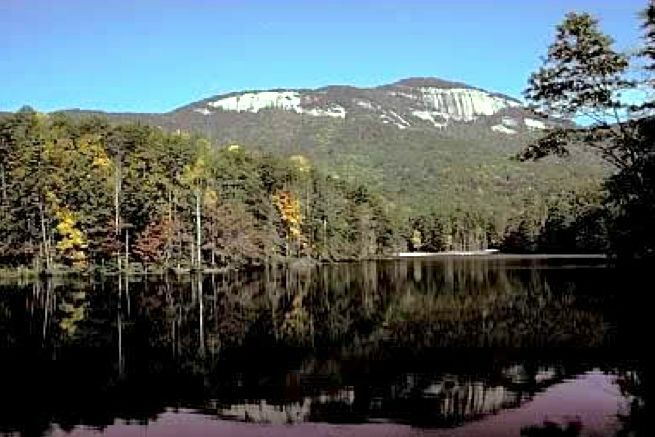 Some age-restricted communities are near the Piedmont Plateau and close to the Blue Ridge Mountains. Active adult communities in Northwestern South Carolina have access to lakes, rivers, parks, and a variety of scenic natural attractions that allow boating, camping, fishing, kayaking, and hiking. Retirees who love the great outdoors can visit Oconee County Parks, Waterfalls of Upcountry, Lake Jocassee, and Cherokee Foothills National Scenic Byway. Active adults can also witness all of the historical sites that Northwestern South Carolina has to offer. Some of those sites include Pendleton Historic District, The Thomas Price House, and Hagood Mill Historic Site. Northwestern South Carolina also has plenty of art and museum attractions like Anderson County Museum, Pickens County Museum of Art & History, Cherokee County Veterans Museum, and Shoeless Joe Jackson Museum and Baseball Library, just to name a few. Residents living in age-restricted communities in Northwestern South Carolina have about an average cost of living that s the same as the national average. Taxes on goods are about 6% and counties within Northwester South Carolina can impose an extra 1% on those goods. However, adults aged 85 or older are exempt from this additional 1% tax. Active adults living in 55+ communities in Northwestern South Carolina have nearby access to many hospitals and healthcare facilities. Greenville Memorial Hospital, AnMed Health Medical Center, and Spartanburg Regional Medical Center are some of the great medical centers that are highly rated and available to retirees and active adults in Northwestern South Carolina.